The tiny country of Djibouti has been dubbed one of the world’s least visited nations – but now it wants to change that status by exhibiting at WTM London– the event where Ideas Arrive. Djibouti will also exhibit at WTM Africa 2019 and showcase their national treasures for the first time at Africa’s leading inbound and outbound travel exhibition. Last year it celebrated the 40th anniversary of its independence from France, and is looking to develop its tourism industry as one of its growth sectors. It is estimated that the country, bordered by Eritrea, Ethiopia and Somalia, attracts only about 73,000 arrivals each year – but it has a climate, landscape, history and beaches that will appeal to travellers worldwide. However, its location also means it hosts several foreign military bases, and the British Foreign Office advises against all travel to the border with Eritrea. Swimming with whale sharks is one of the highlights for tourists, while other activities include scuba diving, fishing, hiking and bird-watching. 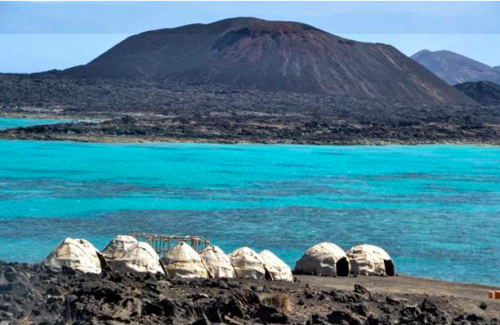 It also boasts remarkable geological landscapes with mountains, volcanoes, salt lakes and deserts. International airlines which serve Djibouti include Air France, Turkish Airlines and Kenya Airways, while the capital Djibouti City has hotels from chains such as Sheraton and Kempinksi. The spokesperson highlighted how travel publisher Lonely Planet had rated Djibouti fourth in its rankings of the top ten countries to visit in 2018, thanks to its dramatic landscapes and mix of land and water activities. “Djibouti is what it always was, a trading post where different cultures and empires collide,” the spokesperson continued. “A heady mix of African, Arabic and French influences give Djibouti City an exotic atmosphere and vibe. WTM London, Senior Director, Simon Press, said: “We’re delighted to welcome another debutant to WTM London this year. It’s great that the Djibouti government is looking to tourism as one of the key sectors to boost its economy. Megan Oberholzer, Portfolio General Manager – Travel, Tourism & Sports at Reed Exhibitions, commented that tourism plays a vital role in boosting the economy globally and by welcoming Djibouti to the WTM Portfolio shows that exhibitions provide a dynamic platform for countries to connect with the world and ultimately facilitate business.